Has it really been more than fifteen years since the Toyota Prius first came to American shores? Indeed it has (the rolling icon of environmentalism arrived in May of 2000, to be exact), and the Gen 4 Prius – the latest iteration of the car that has, for better or worse, defined “hybrid” – rolled into dealerships last month. As expected, Toyota has once again improved fuel economy: a combined 52 MPG rating for most models, and 56 MPG for a new version called Prius Eco, as compared to the outgoing 50 MPG Gen 3 Prius. While this may not seem like much of an “improvement” at first blush, bear in mind that Toyota’s engineers picked the low-hanging fruit long ago in search of efficiency, and the numbers game will now be much more of a challenge. Still, we marvel at the fact that the Prius is now approaching the otherworldly benchmark of 60 miles per gallon set by the late, great ultralight Honda Insight hybrid coupe, despite being much roomier and more than a thousand pounds heavier. Constant refinements means constant change, and that in turn dictates that the Gen 4 Prius incorporate a host of new technology throughout the vehicle. The Prius Eco, for example, is a hypermiler’s dream, with a lithium-ion battery pack (our hearts sing!) and a plethora of tweaks in the name of efficiency: even the rear window wiper has been deleted to improve aerodynamics. 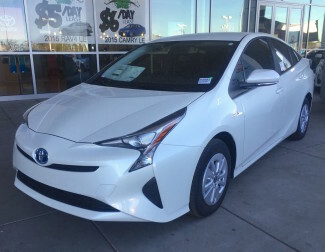 On the luxe side, the Prius Four Touring offers a suite of safety devices, including a pre-collision system, a pedestrian detection system, a lane departure warning and correction system, radar-based cruise control, and automatic high beams. All of these features rely on some fairly sophisticated sensors which predate the kind of technology that we’ll see when self-driving cars, including Toyota hybrids, eventually hit the road. What does this mean for Luscious Garage? Well, we’re technology geeks, so we’re excited to learn as much as we can about the Gen 4, inside and out. We’re well equipped to do so: while we have access to the same service information that Toyota dealerships use, we also grow our own in-house training and have our own take on the best way to care for our customers for the most reasonable amount of time and money possible. And since we service and repair a bevy of hybrid taxis (mostly Prius, and many of which rack up as much as 100,000 miles in their first year of service), we’ll no doubt be learning about the Gen 4’s quirks and peccadilloes well before many of its drivers have seen their first Vitals service. We’re leaders, and if we expect to remain so, we must stay ahead of the pack. Our customers should expect nothing less.